The WayCool evaporative cooler has a powerful directional airflow. The WayCool evaporative cooler throws cool air up to 100 feet! Unit is 1HP and has a 2-speed blower. Manual fill and water level gauge,casters for easy rolling. 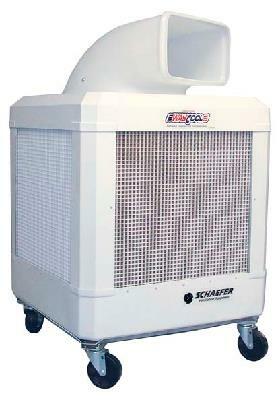 * Please call us for any questions on our evaporative air cooler 1hp rentals in Eastlake OH.